Sperm counts have been cut in half in the last fifty years – and 85% of that is abnormal. In the last few decades there has been a 200% increase in male genital birth defects. Male birth rates have declined. Since 1970 there have been nearly 3 million fewer baby boys. The quality of sperm is declining. Eighty-five per cent of the sperm produced by a healthy male is DNA-damaged. There are recent studies that are now pointing the finger at pesticides and chemicals in our water as the cause to men’s declining fertility. The main cause of these startling statistics are the chemicals sprayed on our food (pesticides and herbicides), hormones found in dairy and meats, as well as plastics that we use on a daily basis. 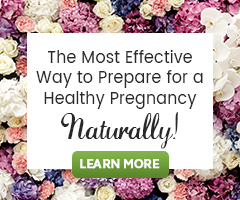 are the herbs in the fertility cleanse organic and or pesticide free? They are either wild crafted (grown by nature) or pesticide free.